Forgive this seemingly odd choice, it just appealed to my silly sense of humour. 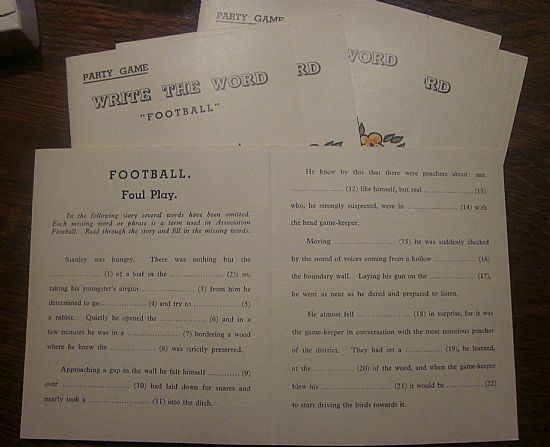 A basic word game for children using common football phrases and words to fill in the gaps in written sentences about non football subjects. Everyone plays and then the person who uses the most correct words from the hidden list is the winner. 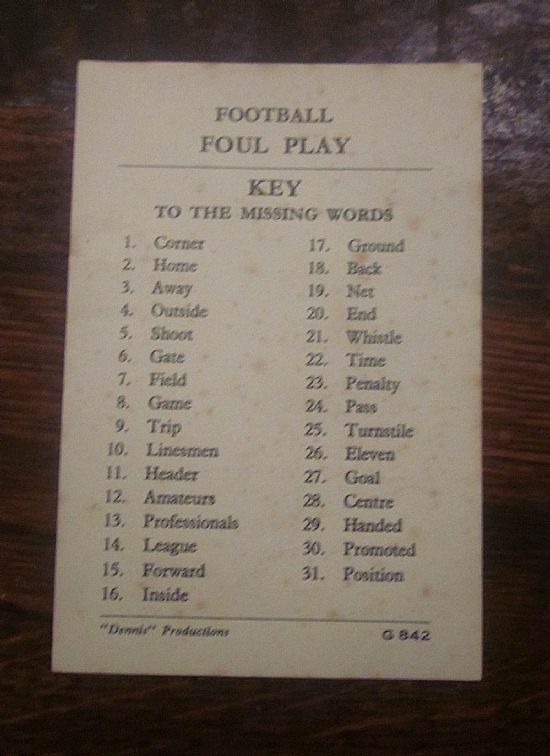 The modern version would use words like 'bite', 'feigning', 'simulation', 'over paid wasters', 'goal line technology', 'consortium' etc! Simple boxed party game for children. Instead of a football illustration you get a cottage, two birds and some flowers - lovely! Every player has the same sheet and tries to fill in the blanks with words linked to football. Words not associated with football such as 'Bendtner' cannot be used. The person who uses the most correct words wins when checked against the answer sheet. Right this is very odd. 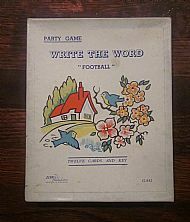 The name of the game is 'write the word football'. Very clear. 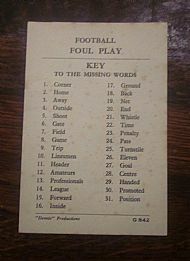 However, the word 'football' is not one of the words on the answer sheet so you don't actually write the word football in the game.